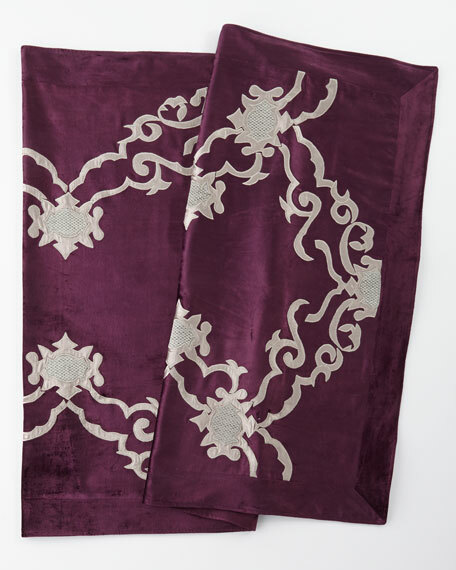 Velvet-on-velvet applique throw with embroidery detail. 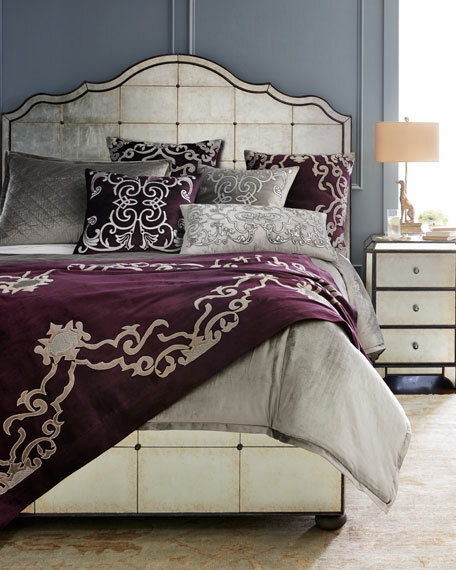 Velvet-on-velvet applique sham with embroidery detail. 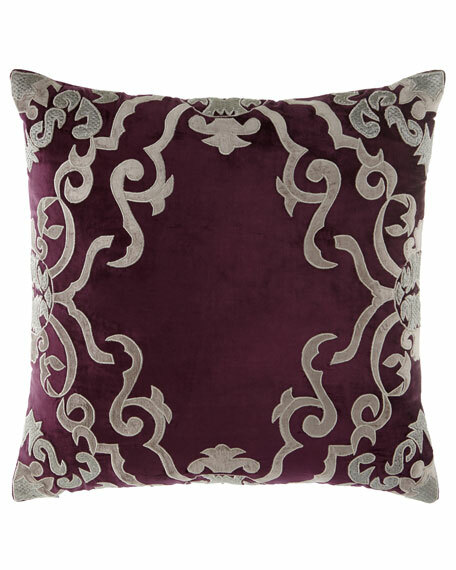 Lili Alessandra Luxe European Chloe Velvet Pillow, 27" x 36"
Lili Alessandra Mozart Plum Pillow, 24"Sq. 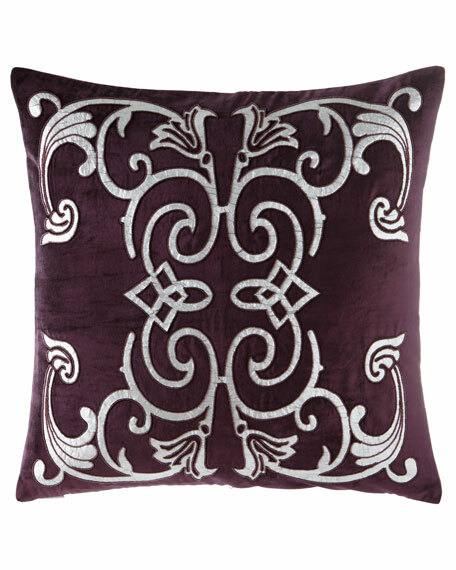 Velvet pillow with silver pattern outlined with plum beading. 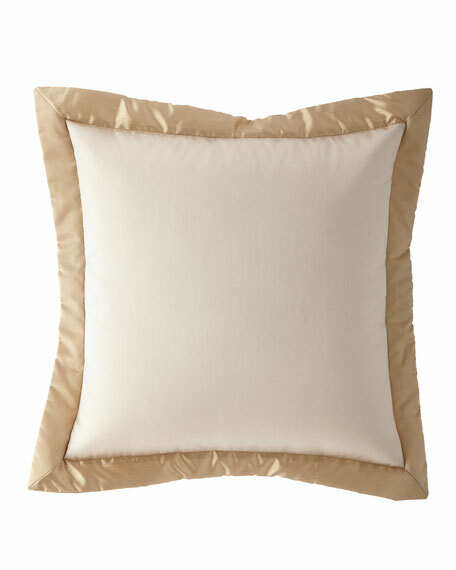 Lili Alessandra Mozart Platinum Pillow, 24"Sq. 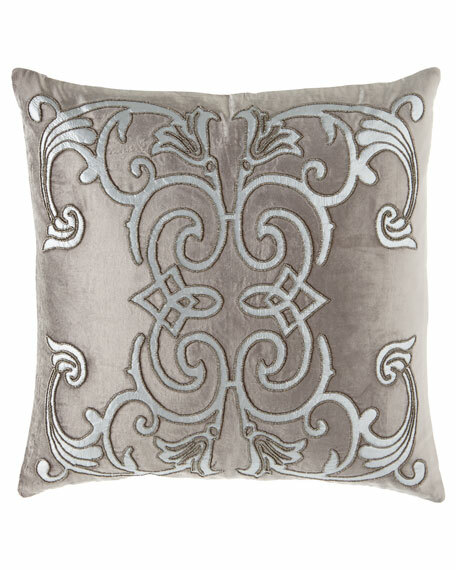 Velvet pillow with silver pattern outlined with gunmetal beading. 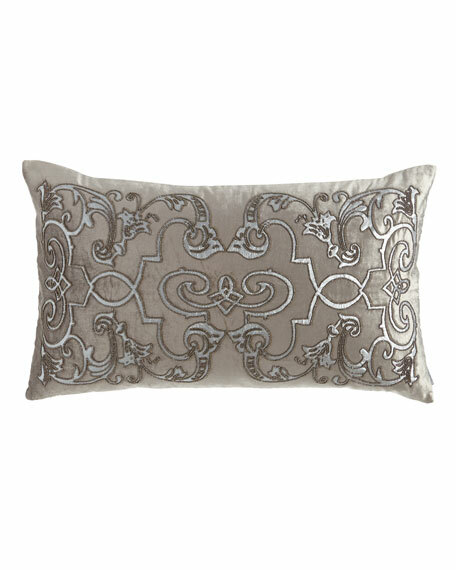 EXCLUSIVELY OURS.Printed sham with solid faux-silk 3" flange. 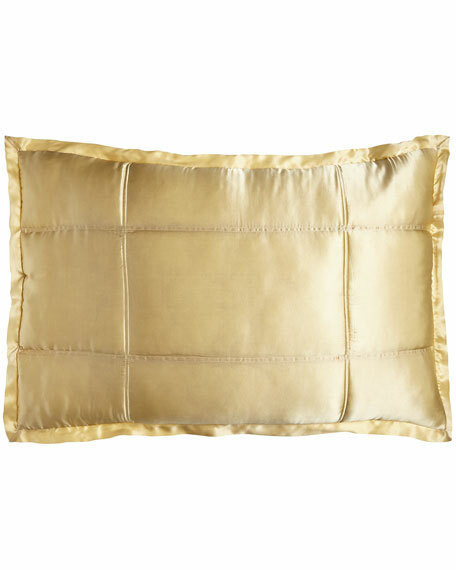 Two-piece faux-silk envelope back. 26"Sq. 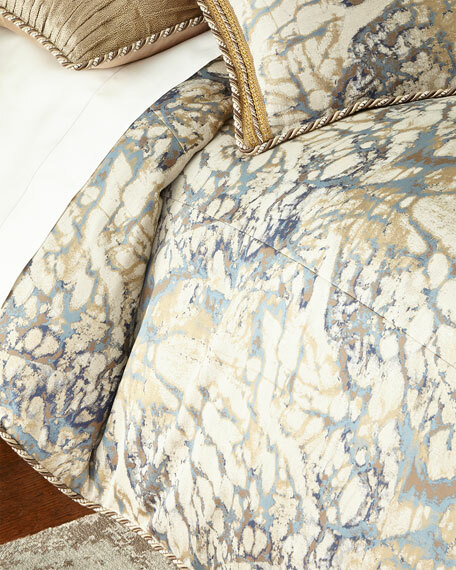 Polyester.Dry clean.Made in the USA of imported materials. 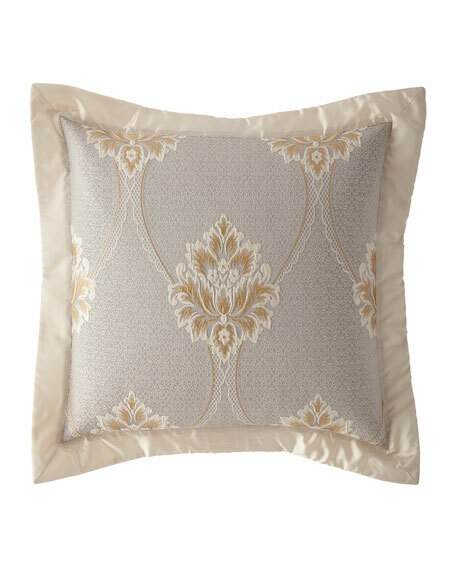 EXCLUSIVELY OURS.Faux-silk sham with contrast 3" flange. 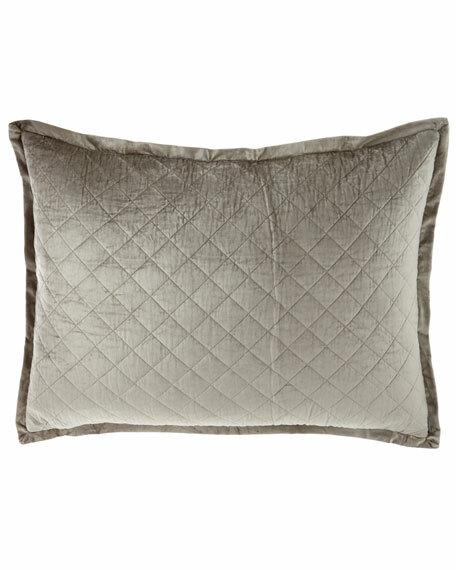 Two-piece envelope back. 26"Sq. 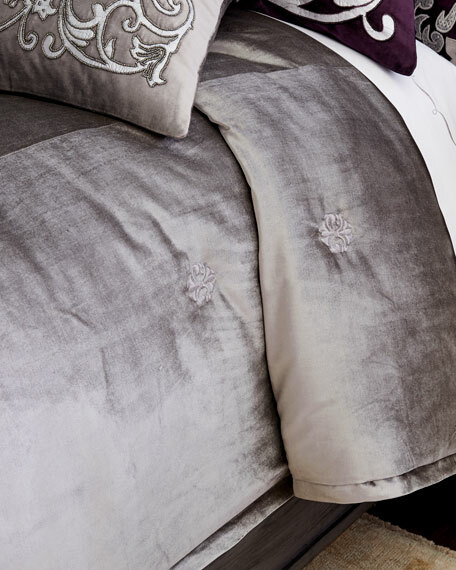 Polyester.Dry clean.Made in the USA of imported materials.